The range that Craig Gerdes’ cowboy rides is a blacktop on his latest release, Smokin, Drinkin & Gamblin. 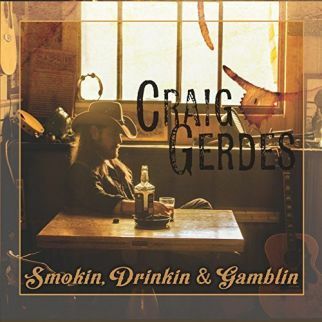 The cab door slams shut as the title track hits the album’s highway, barreling past the cities and towns namechecked in the story as Craig Gerdes pays tribute to a holy trinity of earthly delights with “Smokin, Drinkin & Gamblin”. Telling the tale of his time knocking on Music Row doors in Nashville, gnarly guitar licks set as soundtrack, Craig Gerdes joins the exit of “Redneck Sonsabitches” being ushered out of Music City. Honky tonk music has the back of the character heroes in the Country Outlaw tunes, as Smokin, Drinkin & Gamblin watches Billy run out of road and time in “Dead in a Box in Kentucky” and smiles as an old man dials in a Opry memories with “Good Ol’ Days” while last call is one last song on the jukebox for “Almost Takes My Mind Off of You”. The altar in Smokin, Drinkin & Gamblin is erected on hallowed ground as Craig Gerdes preaches Country music with gospel purity. 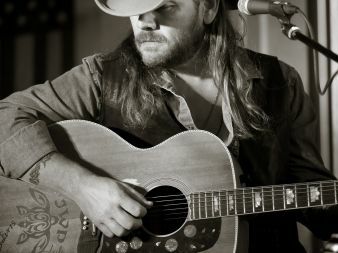 Not every story puts Craig Gerdes behind the wheel as time is spent driving weak hearts down rough roads with tender ballads (“You Saved Me from Me”) and heartbreak two-steppers (“Learned from the Best”) while the album brings back a Johnny Paycheck cut with “Slide off of Your Satin Sheets”. Steering towards the exit in Smokin, Drinkin & Gamblin, Craig Gerdes stares out the windshield avoiding the rear-view mirror in “Almost to Alabama”.